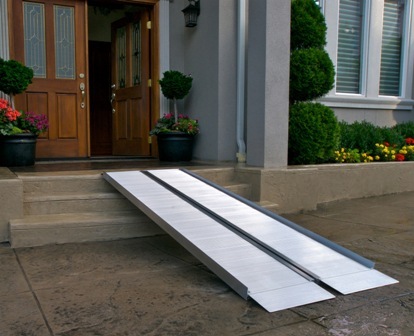 Wheelchair ramps are becoming more necessary everyday as the baby boomer generation is very active, they realize they are getting older and deciding they want to stay in their home and understand they may need some help. Ramps provide safe and reliable home access for users with walkers as well as wheel chairs, power chairs, and scooters. 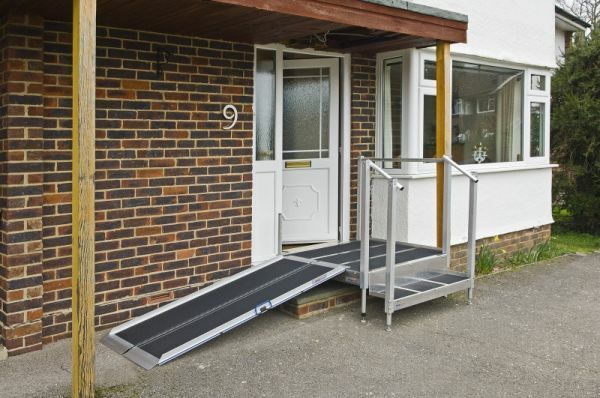 There are many types of ramps to fit your individual needs. Barrier Free Modifications makes traveling in and out of your home easier, we offer many types of ramps to fit a wide variety of needs, whether you need an indoor or outdoor ramp, wood, rubber, steel or aluminum, portable or permanent concrete ramp our trained professionals will work with you to find the right ramp for you and your home, and get your ramp safely and quickly installed! 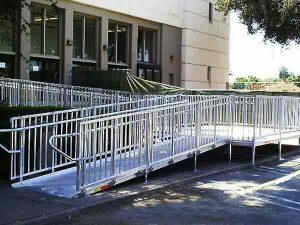 Barrier free Modifications understands, there are times and situations when installing a ramp is the only, best, safest solution. There are several types of ramp options available for you. Wood Ramps definitely have a place, but can become slippery and do require a lot of maintenance, steel ramps are a great option and require a minimal amount of maintenance, painting every few years, while aluminum ramps have a lifetime warranty and are maintenance free, the choice is yours. 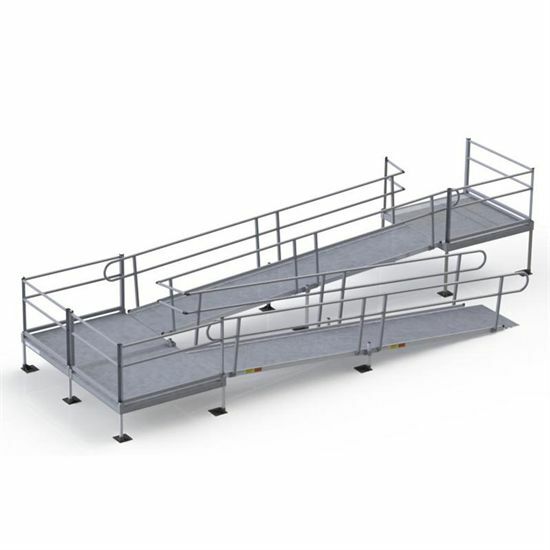 Light Ramps/ Potable Ramps come in a variety of lengths and are lightweight and portable for those on the go they can be temporary or semi- permanent. Threshold Ramps because maybe you just need help with that 1st step? 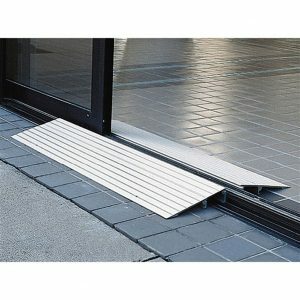 Threshold Ramps come in rubber and aluminum and provide the smooth and safe transition you need at raised landings, doorways, and low inclines. Wood Ramps require constant maintenance and last only a few years, wood can also be very slippery from rain, snow, or ice, and rot from exposure. Aluminum Ramps don’t rust, have no required maintenance, and come with a lifetime warranty. Concrete Ramps will last for years to come, concrete also requires no maintenance and can be finished with a non slip texture. 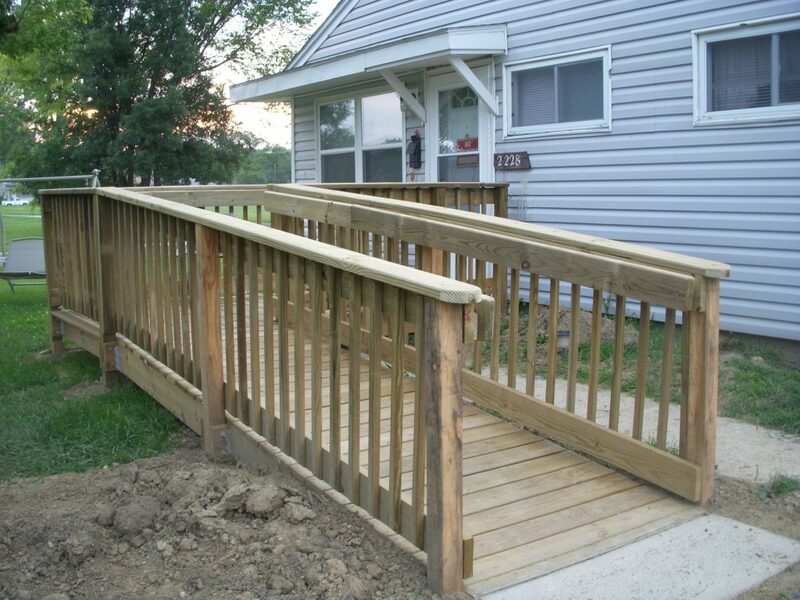 Wheelchair Ramp installation is our most requested service. 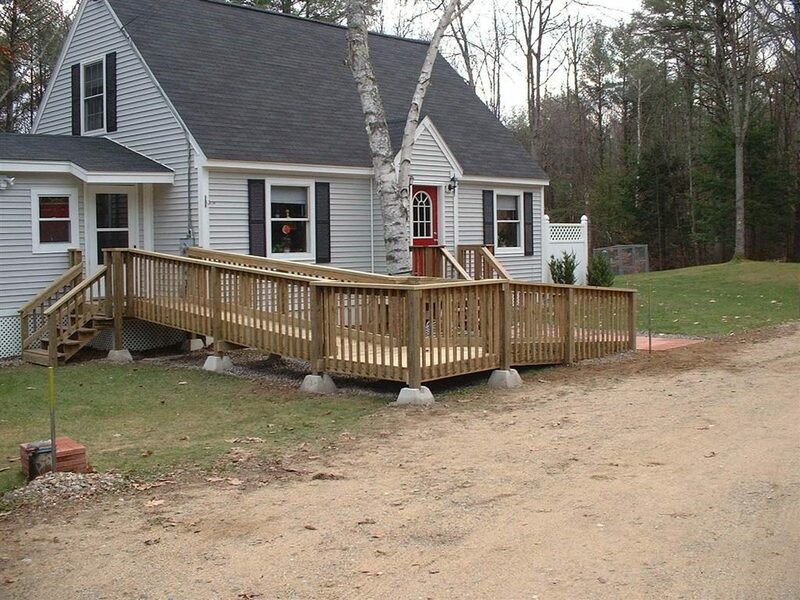 At Barrier Free Modifications we follow exact ADA standards on all of our wheelchair ramp installations, and although there are times when a wood ramp is the only option, we recommend aluminum wheelchair ramps or concrete ramps as a preferred material. 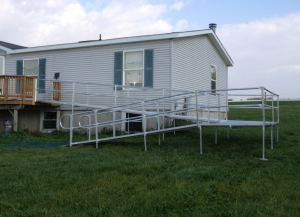 At Barrier Free Modifications we follow the exact ADA standards on all of our wheelchair ramp installations no matter the type, and although there are times when a wood ramp is the only option, we recommend aluminum wheelchair ramps or concrete ramps as a preferred material.